Article by Root and Branch on the cease-fire called in the Vietnam war. On Tuesday evening, January 23, it was announced simultaneously in Washington, Hanoi, and Saigon that a cease-fire agreement had been reached and that peace was at hand in Indochina. Of course, there would be a week of fierce fighting throughout South Vietnam before the settlement would go into effect, each side struggling as in a football game to gain more ground before the whistle blew. And the fighting would go on, though on a reduced scale, and without the American bombing of Vietnam, indefinitely. But the situation in Indochina has indeed taken a new turn. The American anti-war movement, having just demonstrated over inauguration weekend for Nixon to Sign now! has had its wish granted. 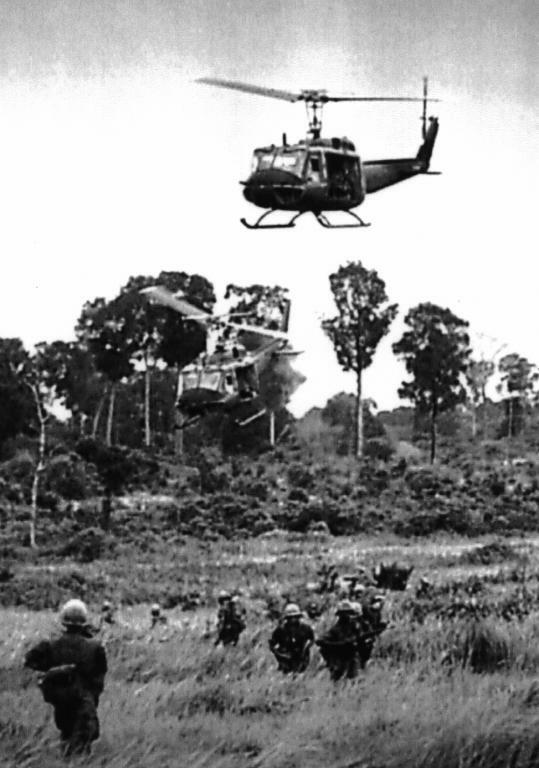 As Nixon promised, American troops and planes will leave Vietnam, American P.O.W.s will be reunited with their families, a full tally of the American dead will be drawn up, and the Vietnamese will be allowed to settle their affairs among themselves -- which, as Dr. Kissinger pointed out on January 24th, has always been the American goal. If the peace thus represents the achievement of American goals, the North Vietnamese in turn have proclaimed a great victory for the Vietnamese people. One thing that is clear is that what's goin on ain't exactly clear. Nonetheless, some elements of the situation should be apparent to all. The U.S. government has opted for the cease-fire in pursuit of its own objectives, not as a result of pressure from the anti-war movement. Throughout the war, that movement has influenced the manner in which the U.S. government carried out its policy, but the objectives of policy remained unaffected. The movement was unable to root opposition to the war in people's real daily oppression by the system that created the war. This narrowness was not so much a tactical error as a reflection of the real limits of the movement. Largely composed of students and professionals (inclulding would-be professional revolutionists), in the absence of a radical workingclass movement, the New Left as a whole was in no position to understand the system it could analyze only in terms of its own "middle class" experience. Against the image of American madness or imperialism, the movement posed the image of the force of national liberation as the other factor of the situation, in which the Spirit of the People was bound to triumph over the Technology of Man. It was mostly forgotten that the Spirit fortified itself with Russian and Chinese rockets, guns, ammunition, Migs, tanks, oil, and food. Seen as the classic example of a small nation holding off a great power, the fate of Vietnam has in truth always been determined by the needs of the great powers. As World War II opened the possibility for the anticolonial struggle, the Cold War made possible its continuation, as a battle by proxy between capitalism and the state-controlled economic systems of the East. Today, the rapprochement between the U.S. and both China and Russia has spelled the end of the ability of North Vietnam and the N.L.F. to continue their fight on its previous level. It would be pointless to bemoan the limitation of national liberation struggles by the needs of the big powers. National liberation means the struggle for entry into the world of nation-states -- a world dominated by big power interests. This has always been understood by anti-colonial governments and forces -- hence the North Vietnamese (and Cuban) support for the Russian invasion of Czechoslovakia. Imperialism -- of the Western or the Eastern variety -- is an integral aspect of the social systems which have organized their political life in the form of the nationstate. National independence, on the level of world politics, can only mean the choice between varying degrees of integration into the spheres of influence of the state-controlled economies of Russia and China. For this reason also we can be sure that the war in Indochina, however long the current truce may last, has not come to an end, and that it will take its place as one of a series of similar conflicts all over the globe. Corporate capitalism and the state-run systems of Russia and China -- whatever their current needs for entente -- continue to confront each other as antagonistic systems striving to secure and to expand their mutually exclusive spheres of exploitation of labor and resources. The limited conflicts known also as brushfire wars in the parlance of the masters of the world are less threatening to the great powers than a direct confrontation between them (though this too is not an impossibility). What this means is that the cease-fire in Vietnam can be welcomed only as a temporary diminution of the slaughter to which the population of the world is condemned until the rival systems of exploitation -- in whose struggles for control of them they serve as cannon fodder -- are destroyed. The real tragedy of Vietnam is not its failure to achieve national self-determination, but the physical destruction of its cities and countryside, the deaths and dislocation of the people who live there. It must be remembered that the nation or the people in Vietnam as everywhere consists of several groups, with distinct and often incompatible interests -- workers struggling for better pay and conditions, peasants for control of the land and its product, the intelligentsia and native bourgeoisie for political and economic control over their country. The tragedy of the exploited people of Indochina is that they are forced to struggle and die for a better life -- and even for survival -- within the meager possibilities set by the dominating structures of class oppression. The system which has wreaked so much terror and pain on the Indochinese has increased pain and deprivation in store for the working populations of the developed countries too. As at the time of the first imperialist world war, the choice is between socialism and a barbarism now expanded by a new technology of destruction. Hopefully the world will not have to be reduced to a total shambles before we join the common people of Vietnam to destroy the system which is our common oppressor. The ceasefire in Vietnam can be welcomed only as a temporary diminution of the slaughter to which the population of the world is condemned until the rival systems of exploitation - in whose struggles for control of them they serve as cannon fodder - are destroyed.